Norm is a member of the Kitigan Zibi First Nation. Norm holds a Bachelor’s Degree in Social Science from the University of Ottawa, and a Master’s level certificate in Public Administration from l’École nationale d’administration publique. He was hired in February 2004 as the Director General of the Algonquin Anishinabeg Nation Tribal Council. Prior to accepting this position he served three years as the Assistant Community Services Director for Kitigan Zibi. He is currently the President of the Native Benefits plan and a member of the Executive Committee of the Quebec Directors. As the Director General he is responsible for the management of all operations within the organization. To contact Norm Odjick, call 819-449-1225 or email to normo@anishinabenation.ca . Belinda Whiteduck is a member of the Kitigan Zibi First Nation. 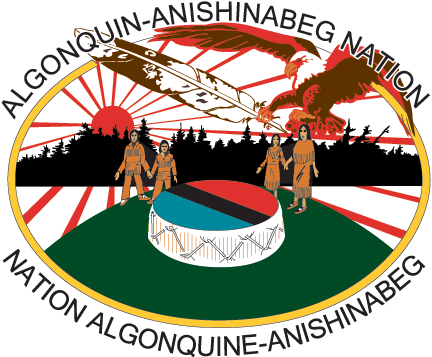 Belinda has been working at the Algonquin Anishinabeg Nation Tribal Council for several years. She was first hired as a secretary-receptionist and worked on various cultural projects as well as organizing events such as the annual Tribal Council golf tournament which funds sports activities in the communities. Belinda is a mother of one who has recently assumed the position of Executive Secretary. As such, she organizes and coordinates the activities of the Political Council and the work-related travel of the Tribal Council staff.